Damming the mainstream of the lower Mekong River would represent a significant new threat to the survival of the Mekong giant catfish, one of the world’s largest and rarest freshwater fish, according to the new study commissioned by WWF. The study sheds new light on the status of this elusive species, including data on its numbers, distribution, threats and measures needed to prevent its disappearance. While the exact population size is unknown, there could be as few as a couple of hundred adult Mekong giant catfish fish left. 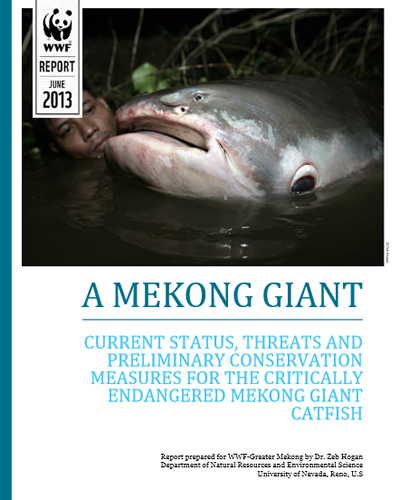 Thr report recommends a comprehensive research program including study of the distribution, abundance, and life history is urgently needed to provide science based guidance on how to most effectively safeguard and restore populations of the Mekong giant catfish.